It’s cheap. It will last forever. It’s reasonably fun to wring out. It’s modular in design, with shocking levels of room for all your stuff. It gets great fuel economy. 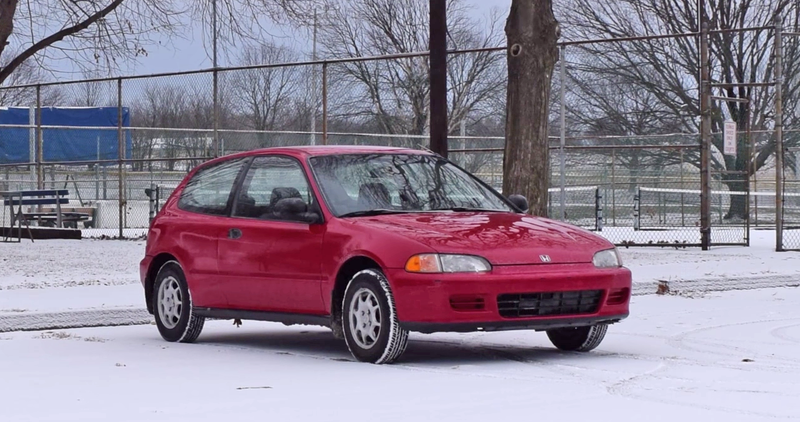 Is the mid-1990s Honda Civic hatch the only car you’ll ever need? The case could be made. And it is, in the latest Regular Car Reviews video. This is a test of the Civic VX model, the one with a 1.5-liter engine making 92 horsepower and—allegedly—48 MPG in the city and 55 MPG on the highway. Now, I think those numbers are awfully overstated by how we rate fuel economy today, but it’s still absurdly efficient. It’s not the coveted Civic Si hatch, or even a nicer DX, but it’s a refreshingly basic and well-built form of transportation. No power steering, no A/C, no weight—it’s like Mike’s Yugo but with Honda build quality. Maybe this generation of Civic hatch should be the answer to everything? Like I said, the case could be made.